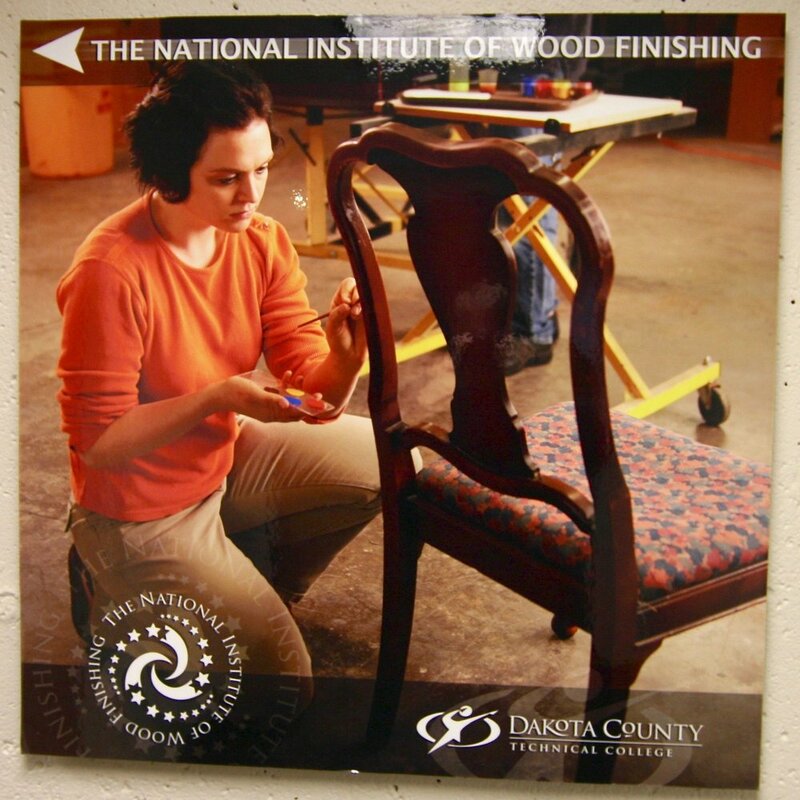 Mitch is best known for the 35 years he spent leading the National Institute of Wood Finishing program at Dakota County Technical College – the only certified finishing program in North America. His graduates have gone on to become the best professional finishers this country has to offer. His program has been featured in Wood, Fine Woodworking and Better Homes and Gardens magazines and his technique articles have been published in both American Woodworker and Fine Woodworking. He is a member of the American Institute of Conservation and has served an internship at the Smithsonian Conservation and Analytical Laboratory. He has lectured for The Woodworking Shows and is a prized consultant to the entire finishing industry. My shop located in South Saint Paul Minnesota. Learning in a professional wood finishing shop allows us to go to work and learn as if you were in your own shop (but with everything you need close at hand). Color matching with dyes, stains, glazes and toners, coating application and spot repair are all tasks we accomplish here on a daily basis. About the only thing we don't offer is UV coating. While the shop has everything you'll need, you are also welcome to bring your own gear and work with it during your sessions. What Are My Custom Class Options? For those of you who are looking for a general introduction to the world of hands-on finishing, I conduct two and five day classes throughout the spring, summer and fall at the Marc Adams School of Woodworking. These are classes with limited enrollment (18-22 students) and include a mixture of theory, demonstration and hands-on time. By the end of my 5-day class, you'll have learned the why's behind the how-to using many common finishing techniques. These classes are a great accelerated start to the world of fine finishing! For those of you who desire a more targeted approach, the next level (and in my opinion, the best option) is one-on-one instruction with me. These sessions can be one day or several and the subject matter is carefully customized, with plenty of input from the you, so as to specifically address your finishing needs. These sessions typically take place in my shop at Fresh Air Finishers in South St. Paul, MN. I also lecture and consult at locations around North America.